Whenever the legend of THE BLUE NILE is mentioned, it’s their 1983 album ‘A Walk Across The Rooftops’ and the single ‘Tinseltown In The Rain’ that are always discussed in breathless awe. But actually, it’s the follow-up ‘Hats’ that is the trio’s crowning glory. Both ‘A Walk Across The Rooftops’ and ‘Hats’ were licenced to Virgin Records through an innovative deal with Linn, the Glasgow based high quality Hi-Fi manufacturer. THE BLUE NILE’s crisply produced albums were used by dealers to demonstrate the sonic range of Linn’s flagship Sondek LP12 turntable. Then acknowledged to be the best record player at its price, in 1989 it was a whopping £585.35 without the tonearm. The tonearms would then start at £150.00 with a suitable budget cartridge such as the Linn K9 costing an additional £59.00! 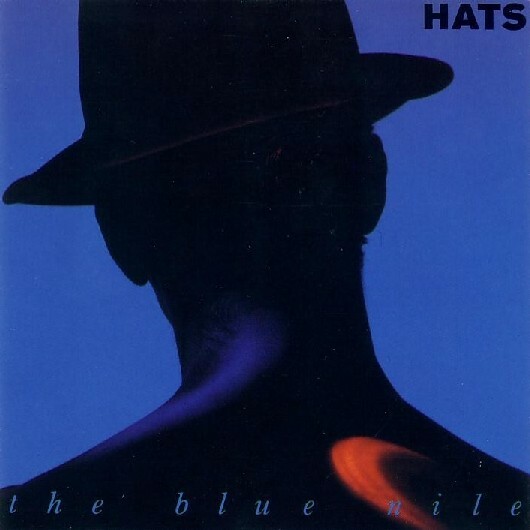 From day one, THE BLUE NILE symbolised the tastes and aspirations of the discerning music enthusiast. Six years in the making, a lifetime in a period when bands who took a two year gap risked losing momentum, like its predecessor, 1989’s ‘Hats’ featured seven lengthy exquisitely crafted tracks. But the differences with ‘A Walk Across The Rooftops’ lay in the songwriting and musical construction. 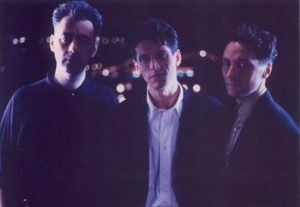 THE BLUE NILE’s enigmatic leader Paul Buchanan took sole credit for composition while production was a joint effort with Robert Bell and Paul Joseph Moore having an equal say and each of the band having no fixed roles in the studio. 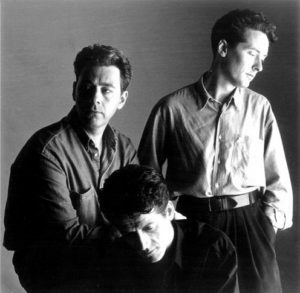 Instrumentally, more synthesizers and drum machines were in evidence after the comparatively conventional sound of ‘A Walk Across The Rooftops’. Buchanan said “All of our songs are love songs”. With their hushed sparse grandeur, he added “The songs deal rather well with that 4 am sort of feeling”. ‘Hats’ starts with ‘Over The Hillside’, a steadily canter that builds to the closing neo-industrial clanking and sombre, detuned synthetic strings that recall ‘Architecture & Morality’ era OMD. It is mechanised experimentation delivered with hopeless romanticism where the girl never comes back. “What’s the point in trying it all again!” despairs Buchanan. ‘The Downtown Lights’ is monumentally windswept with a tension that increases as the pace becomes more frenetic and leads to a crescendo where Buchanan breaks down: “The neons and the cigarettes, the rented rooms, the rented cars, the crowded streets, the empty bars” he yells, “the chimney-tops, the trumpets, the golden lights, the loving prayers, the coloured shoes, the empty trees, I’m tired of crying on the stairs. . .”; the resigned sub-TOM WAITS tone crossed with the smokiness of Sinatra resonated among many. Although not a hit single, the song was later covered by ROD STEWART and ANNIE LENNOX. ‘Let’s Go Out Tonight’ is glum but ethereal with a haunting, slow burning melody. 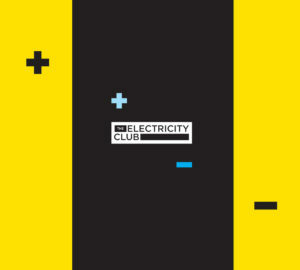 The soundtrack of shimmering electronic textures and lonely ivory tinkling capture that empty feeling. The glorious centrepiece of ‘Hats’ is ‘Headlights On The Parade’. It’s a rainy cinematic drama in just over six minutes with haunting piano, swaths of synths and a collage of modulated sequences aurally photographing the dazzling glare of street lighting and rush hour traffic. ‘From A Late Night Train’ captures the come down of a train journey home after the rejection. Almost Sylvian-esque, the lonely sampled trumpet gives a solemn jazzy feel along with the piano accompaniment. Off-beat and off-kilter, the pitch bent fuzzed bass and the pulsing drum machine of ‘Seven AM’ is counterpointed by the minimal but tense rhythm guitar. It’s not really a song either, more fragments of sound gathered together with synthetic finger clicks and atonal stabs symbolising the strain of having to face another new day. “Where is the love?” Buchanan asks. ‘Saturday Night’ tries to end with an optimistic tone, with Buchanan stating that “An ordinary girl will make the world all right, she’ll love me all the way… Saturday night”. The rich synthetic strings pull the heart in this emotional ballad. Buchanan’s voice is fragile and anxious but hopeful. It all ends with a chime of harmonic guitar. Although it received positive reviews and reached No12 in the UK chart, ‘Hats’ was never as highly regarded as THE BLUE NILE’s debut despite it being something of a masterpiece.